Investigate ultrasonic measurements systems and analyze the operation of modern fuel injectors for optimal performance. 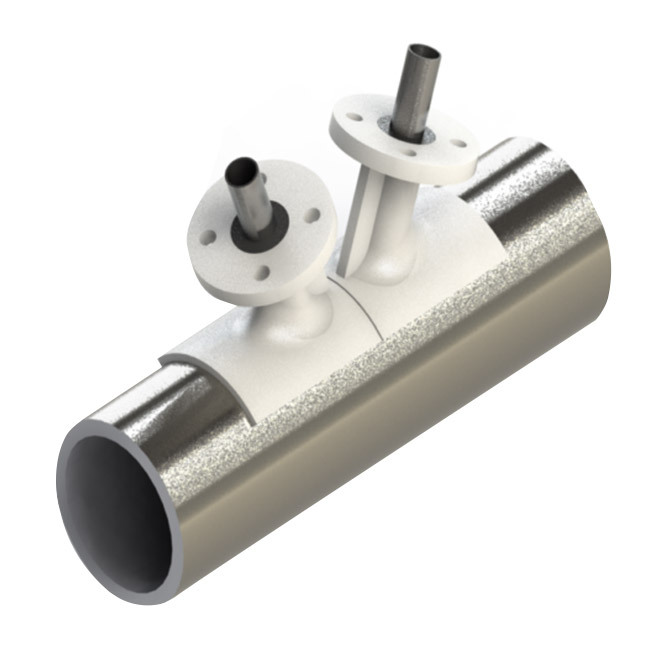 Ultrasonic flow measurement is a growing industry which offers non-intrusive, high accuracy measurements across a range of applications. OnScale can simulate ultrasonic meter performance under the influence of complex flow fields and is used in diverse applications from anemometers to custody meters. 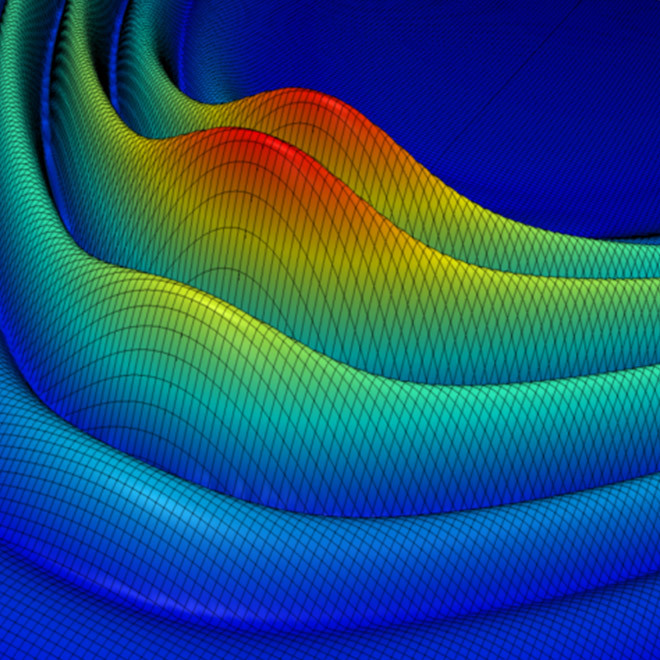 The flow module allows a background flow field to be applied to the simulation which will influence acoustic wave propagation. This allows the full effect of flow on device output to be assessed. 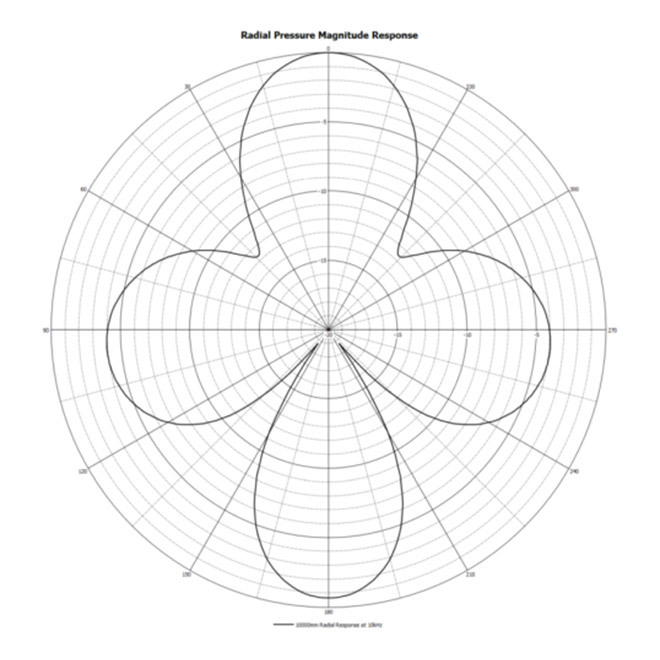 Effects such as beam distortion, Doppler effect, and shifts in arrival time can be accurately predicted. Many modern flow meters use two or more sound paths in order to reduce sensitivity to flow separation and turbulence. OnScale allows designers to optimise the arrangement of these paths to reject these parasitic effects and obtain a true measurement of average velocity. OnScale has the power to simulate entire flow meters and pipe sections, not just individual components. 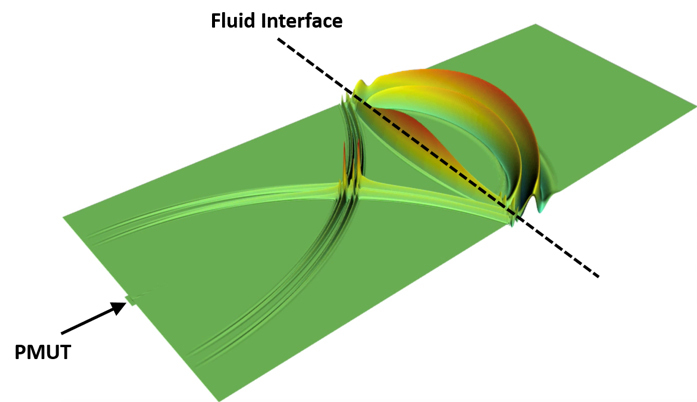 By integrating transducers into the simulation, designers can predict what signals will appear on the meter for a given flow condition. 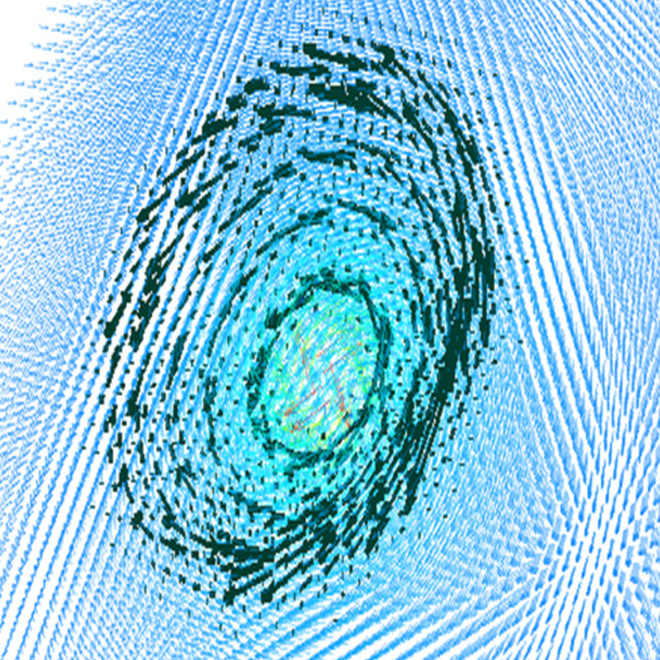 Complex flow fields can have unexpected effects on velocity measurements. Proximity to bends, the presence of a conditioning plate, and the transducer cavities themselves can all have an effect on the accuracy of the meter. 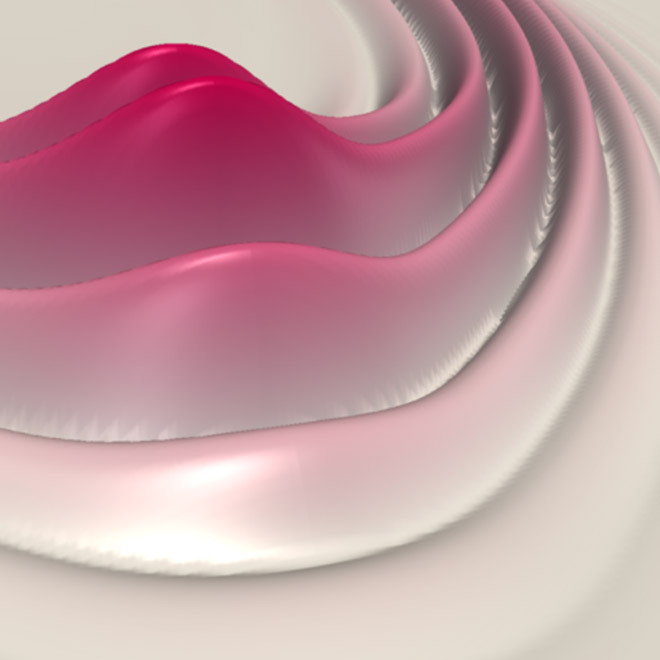 The flow module allows CFD-generated flow fields to be imported, allowing these effects to be fully considered. Many devices utilize frequency shifts caused the Doppler effect as an accurate means of measuring flow velocity. 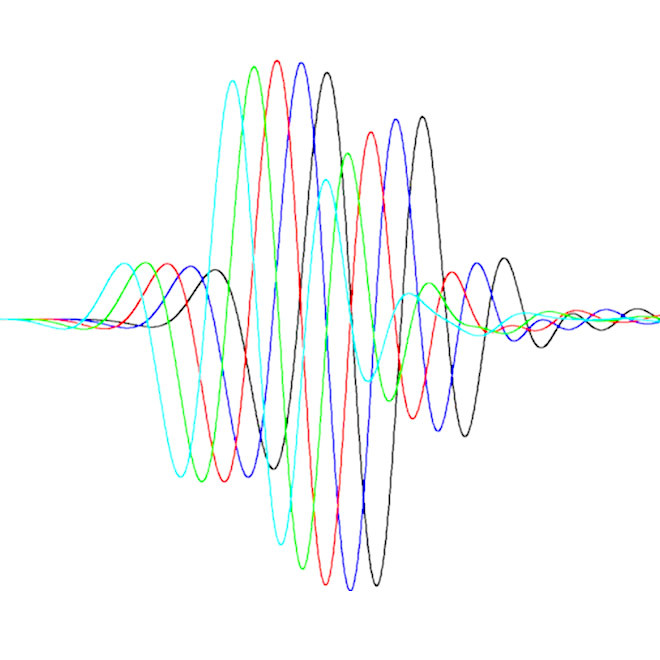 OnScale’s combination of a time-domain solver with background flow fully considers these effects, allowing accurate frequency deviations to be calculated from a single model. In most practical meter designs crosstalk through the meter body or pipe can contribute significantly to unwanted parasitic signals. OnScale’s ability to consider the realistic meter geometries and transducer mounting allows these effects to be analyzed and ultimately minimized. OnScale is used in a wide variety of industrial sensing applications from process monitoring to thickness gauges. 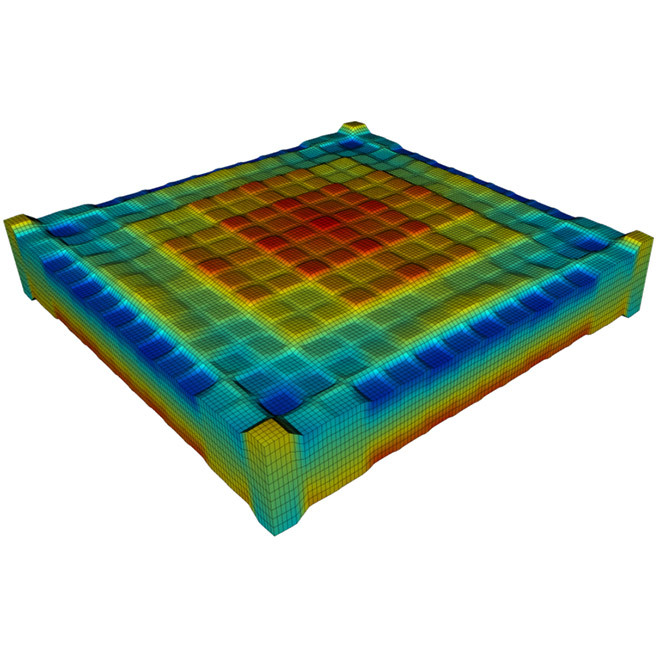 Its ability to rapidly simulate acoustically large structures and include electromagnetic coupling make it well-suited for analyzing sensors which are closely coupled to their surrounding environment. By simulating the sensor and the structure in a single model, OnScale provides designers a unique insight into how their system behaves. Ultrasound can be used to both monitor and accelerate chemical reactions by passing sound through the reagents inside a test cell. OnScale has helped researchers fine-tune these processes by predicting acoustic beam patterns, received signals, and sensor performance. OnScale is well-known for its electromechanical solver which allows it to rapidly carry out time-domain analysis on piezoelectric materials. With full support for external circuits, OnScale can predict how electrical loading affects transducer performance. 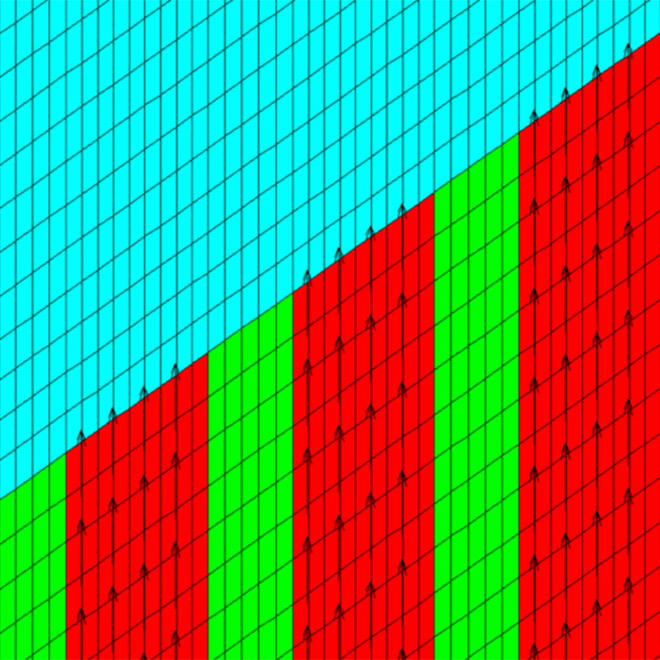 Simulate complete linear and 2D matrix probes. Analyse electrical and mechanical crosstalk, directivity, electrical impedance, beamforming, and more. 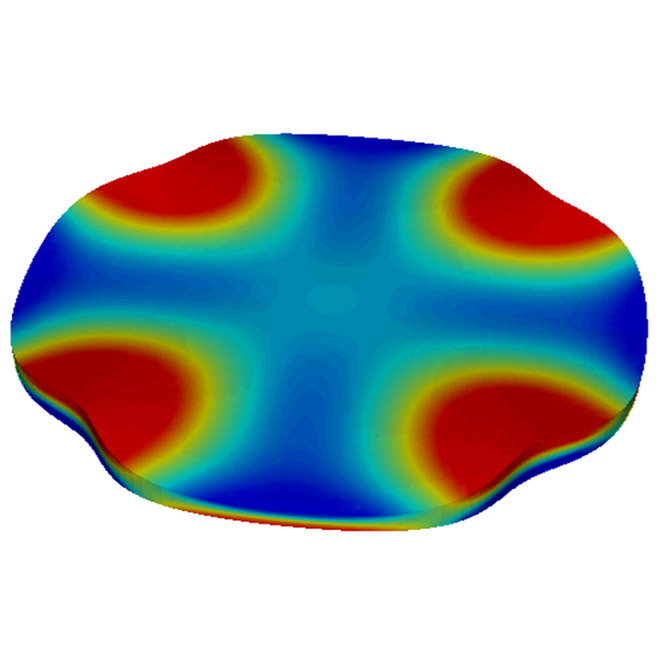 Advanced solvers enable large transducer models to be solved in hours rather than days. OnScale’s ability to mesh structures in exceptional detail makes the simulation of complex structures both simple and accurate. A range of common formats, including STEP, IGES, Solidworks and Parasolid formats can be imported directly. 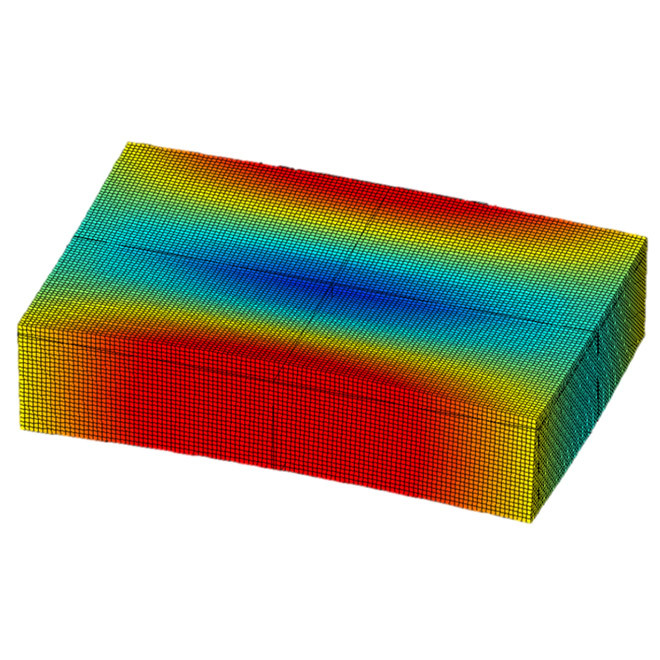 From 1-3 to 2-2 configurations, OnScale has been the benchmark in piezocomposite simulation since its inception. OnScale has all of the tools required for you to optimize your microstructure, select the correct materials, and meet even the toughest customer specifications. 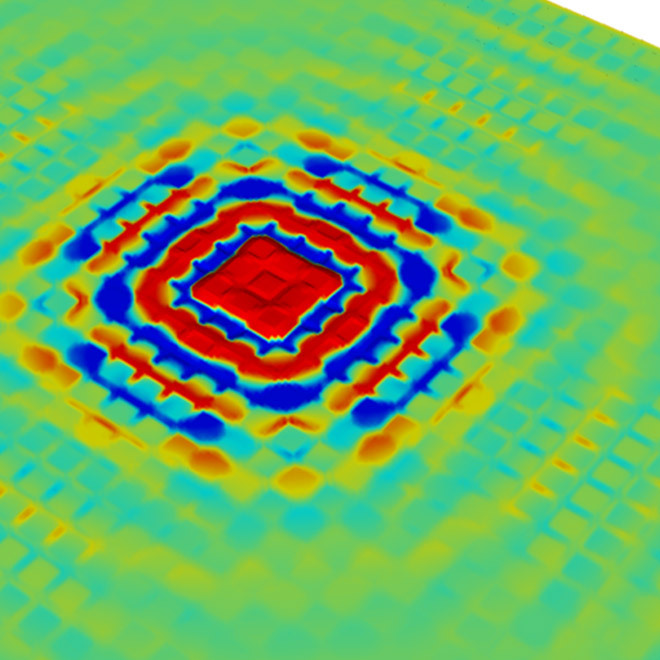 Time-domain simulations are well-suited for the broadband analysis of sensors and transducers. By running a single time-domain model, full performance information across a wide spectrum can be generated. OnScale’s explicit solvers allow this to be carried out efficiently, getting designers the answers they need quickly. Piezocomposites are continuing to open new possibilities for designers, outperforming traditional piezoceramics across the board. 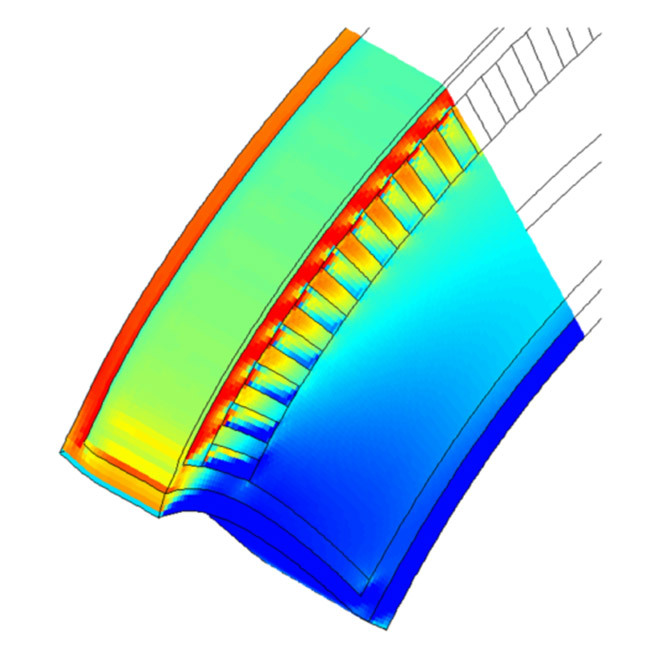 In order to unlock the true potential of piezocomposite technology, designers require a simulation tool that allows them to explore a wide range of design options. OnScale can deliver these results accurately, allowing a new level of imaging performance to be realized. 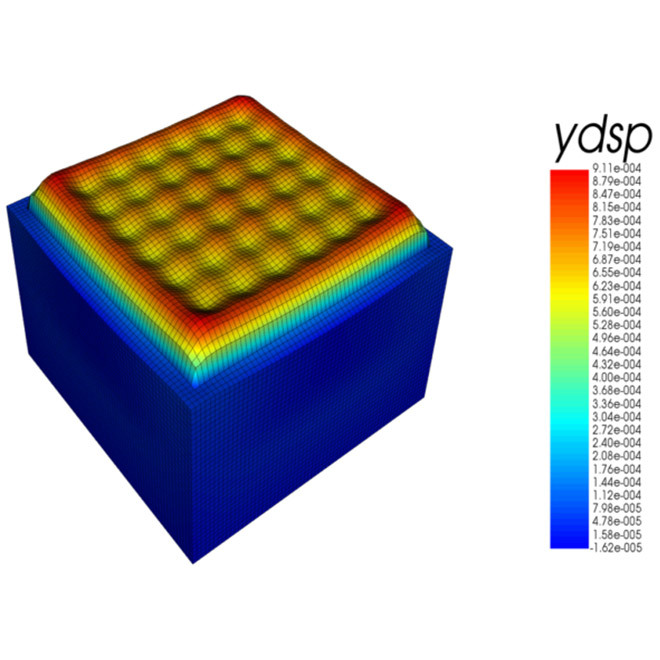 Extract important metrics quickly and effectively from simulations. Electrical Impedance, Admittance, Conductance, Beam Profiles, Efficiency, and other common outputs are available from standard toolsets. 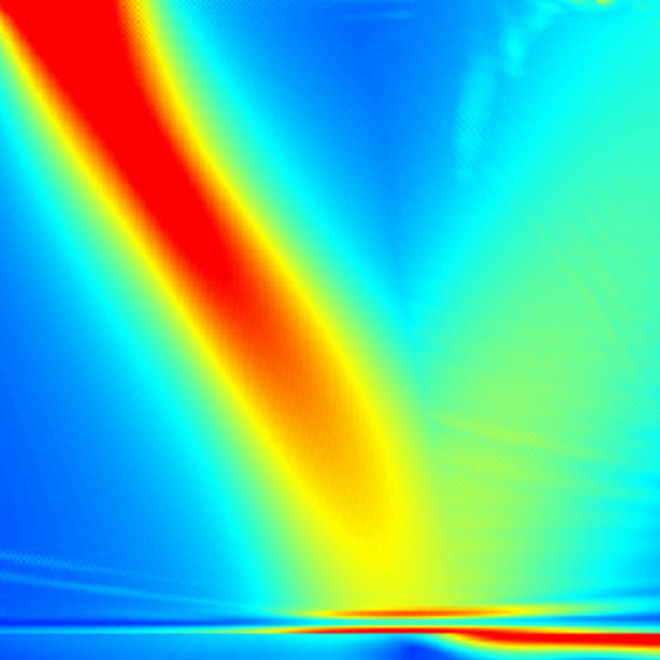 Far-field beam patterns can be rapidly calculated using a Kirchoff extrapolation algorithm, allowing you to view results in either the time or frequency domain. 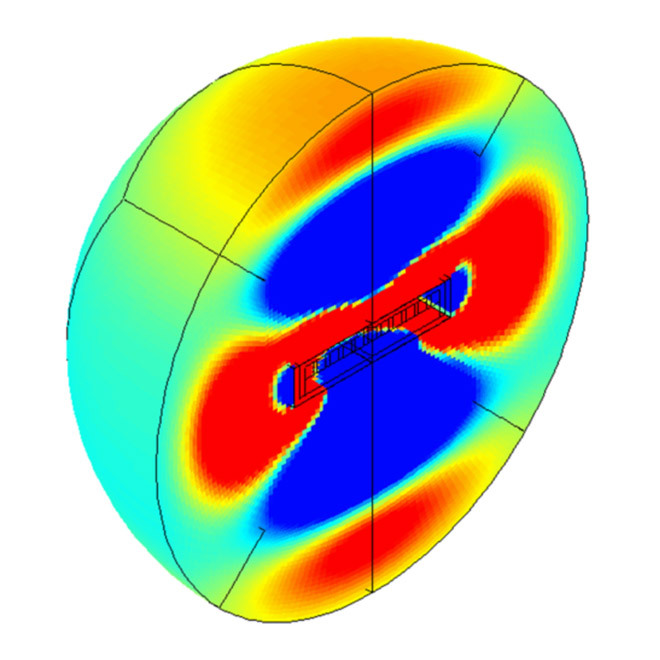 This makes it easy to calculate the directivity of your device and ensures that the size of the finite element calculation can be minimized. 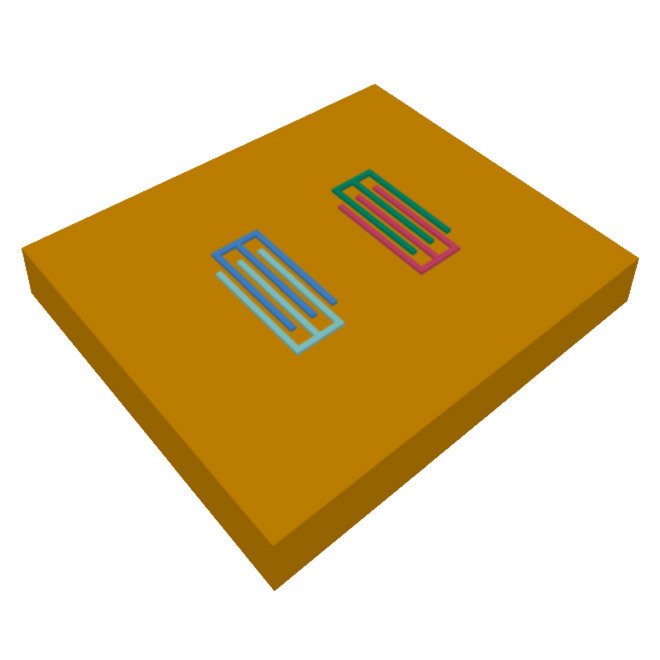 Single-crystal piezoelectrics offer significant performance advantages over polycrystalline ceramics, and piezocomposite configurations are often best placed to take advantage of them. 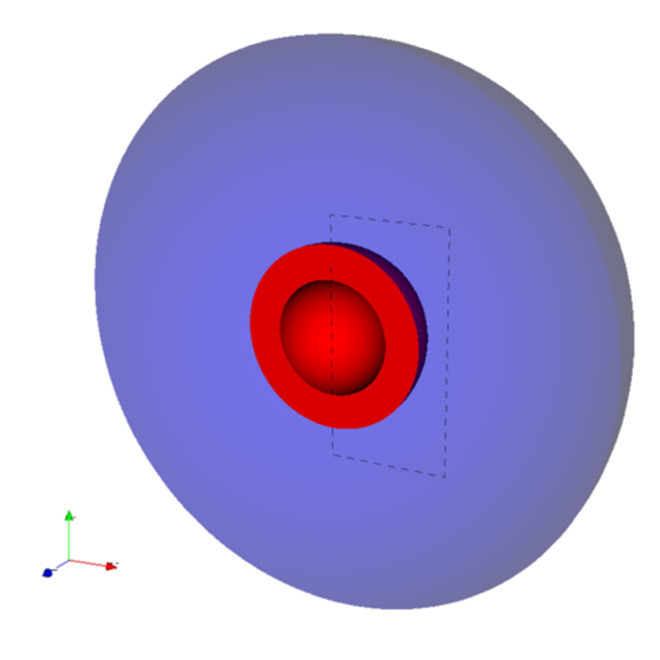 OnScale can consider materials from any of the 32 crystal classes allowing easy material definition and alignment. 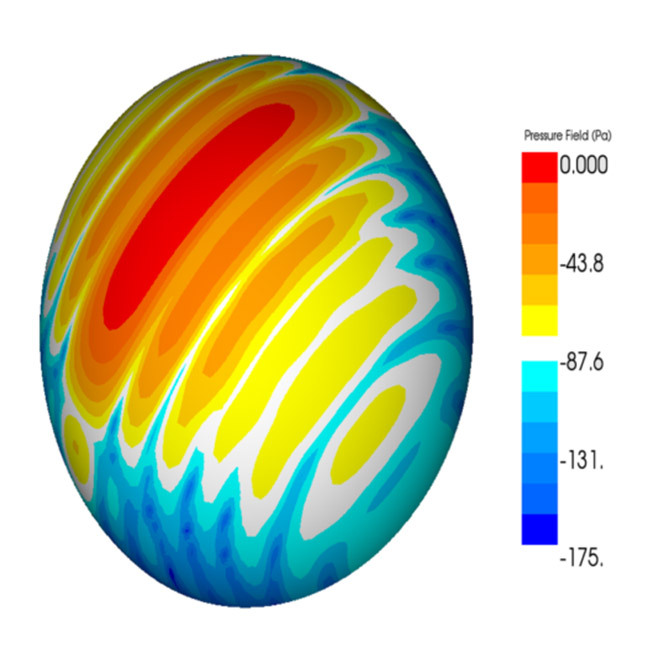 With full time-domain and static mechanical solvers, OnScale can do more than just ultrasonics. Hydrostatic analysis can be used to predict how transducers will behave at-depth, allowing both stress and deformation analysis to be carried out in a single model. When fighting for wide acceptance angles, sources of crosstalk must be understood and ultimately minimized. 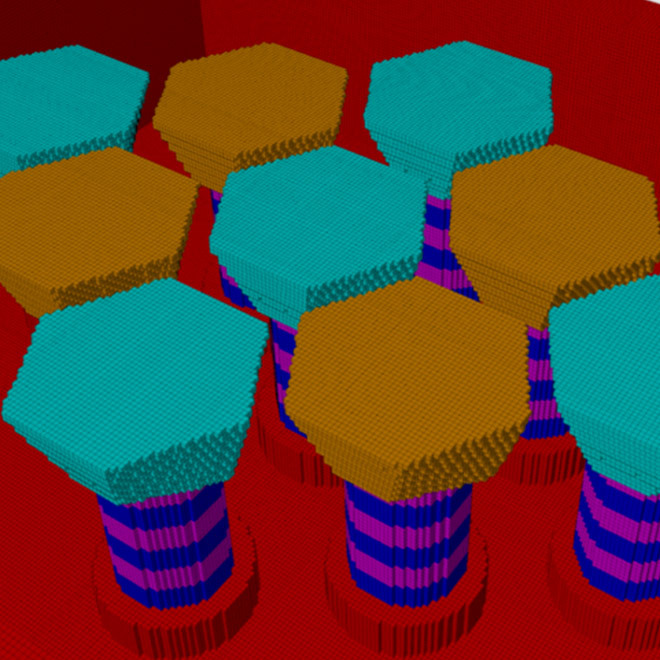 OnScale efficiently considers large array structures, allowing crosstalk on adjacent elements to be analyzed in detail considering everything from voltage crosstalk to Lamb modes propagating along the length of the array. Device heating plays a major role in sonar transmitter design, often defining the top limit on Sound Pressure Level (SPL) that can be achieved. 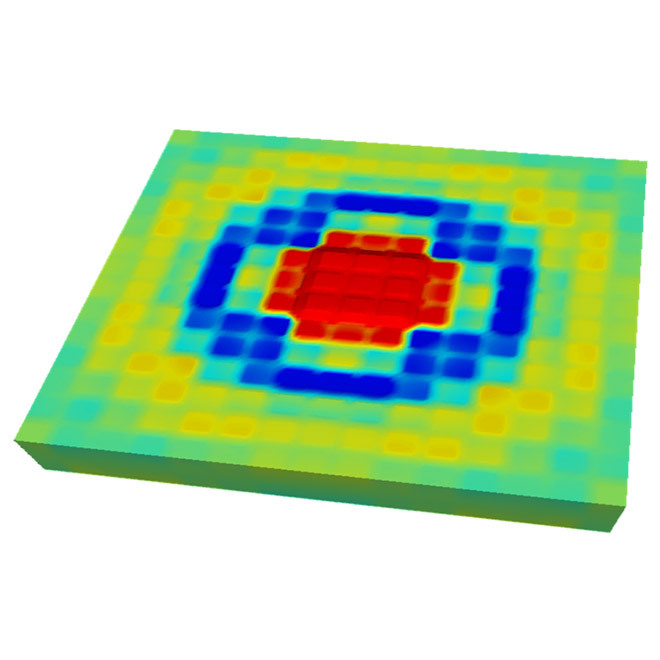 OnScale has a fully-coupled electromechanical solver that not only allows the internal temperature of a device to be predicted, but can also predict both internal stress and deformation. OnScale has been used by the sonar industry for over 20 years to assess and improve device design. From stacked tonpilz devices to flextensional configurations, OnScale can rapidly provide a clear picture of a device’s key performance metrics. With the power to consider entire arrays of devices, OnScale is ready to help designers deliver a new generation of high-performance sonar systems. Tonpilz devices offer a compact solution for creating high power, low frequency sources. OnScale allows all aspects of acoustic performance to be analyzed, allowing you to create efficient, unimodal designs that deliver the performance required by customers. 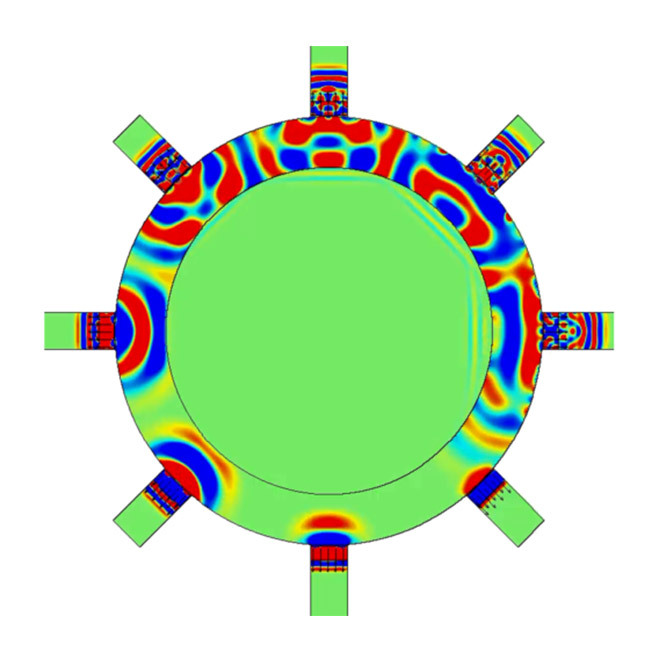 Fast extrapolation algorithms allow calculation of acoustic pressures in both the near and far field. This gives the designer the ultimate flexibility in assessing device performance, allowing everything from beamwidth to rear breakthrough to be accurately assessed. Calibrated hydrophones are used in a wide range of applications and form the basis of many sonar test labs. OnScale allows wideband analysis of hydrophone performance, providing confidence in device design across the whole operating bandwidth. Understanding the modes of vibration supported by a device is often key to improving its performance. Mode shape analysis brings your data to life, allowing the designer to avoid parasitic modes of vibration that may hamper performance. 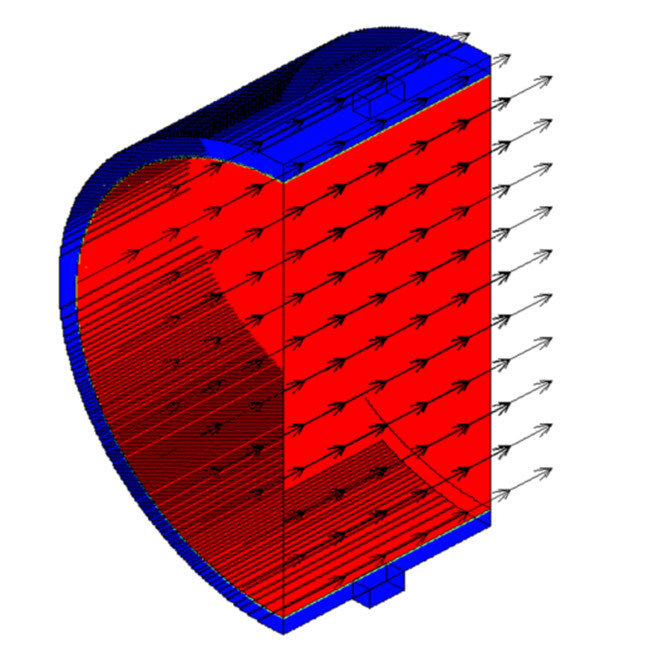 Accurate prediction of sensitivity is important for any sonar design. 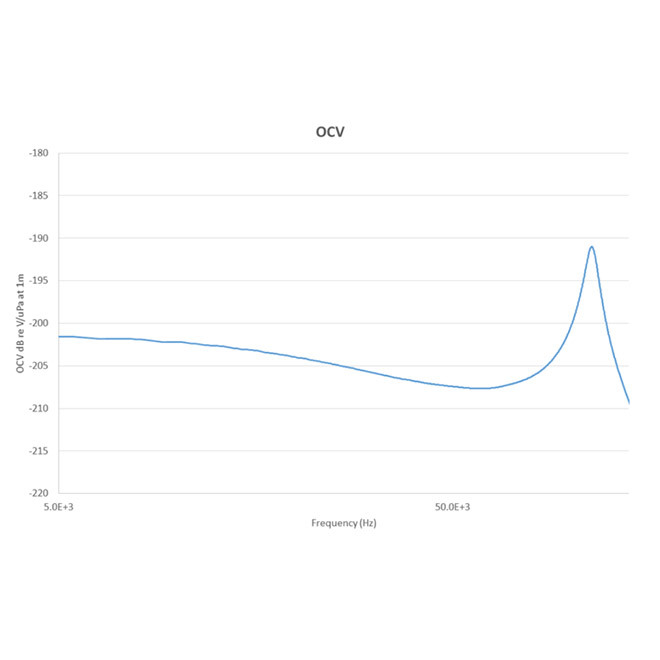 OnScale offers specific tools for directly calculating both TVR and OCV as a function of frequency. Sensitivity across the entire band of operation can be calculated from a single model, significantly reducing the time required to evaluate new designs. Device efficiency is a key performance metric in most systems, and OnScale allows this to be analyzed in detail. Not only can experimental efficiency measurements be replicated, but power delivered to different parts of the device can be analyzed, giving the designer the full picture of how the system will perform.